Demand for Nvidia graphics cards got an unexpected boost thanks to crypto-mania. Some Wall Street analysts, bulls and bears alike, are worried this could dry up and leave the company overvalued. Crypto-mania has been a boon for Nvidia‘s graphics card business. Store shelves have been wiped clean of the company’s GPUs as would-be miners of bitcoin and other cryptocurrencies seek out the chips that were once only popular among PC gamers, but are extremely effective at running the algorithms behind the digital coins. Shares of Nvidia exploded throughout 2017, gaining 112% in the past year. 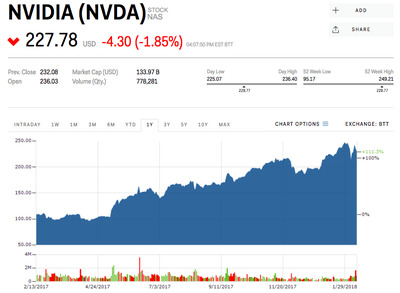 It was one of the best-performing stocks in the S&P 500, thanks in part to unexpected revenue from newly minted crypto-enthusiasts snapping up Nvidia cards. However, 2018 hasn’t been as kind to cryptocurrencies so far. That’s where the downdraft kicks in. Since January 1, bitcoin has fallen 35% while the total market for cryptocurrencies has lost 30% of its value, or roughly $US182 billion. “With crypto likely contributing larger-than-expected revenue, it is unclear if Q1 will be flattish next quarter,” RBC Capital Markets analyst Mitch Steves said in a note to clients following Nvidia’s record fourth quarter earnings release. Despite the fears, Steves maintains an outperform rating for shares of Nvidia, with a target price of $US280 – 22% above where the stock was trading early Tuesday. Gaming makes up just over 18% of Nvidia’s total GPU revenue, behind data centres (60%) and automotive (22%), according to Bloomberg’s financial analysis. Others on Wall Street aren’t as optimistic as RBC. 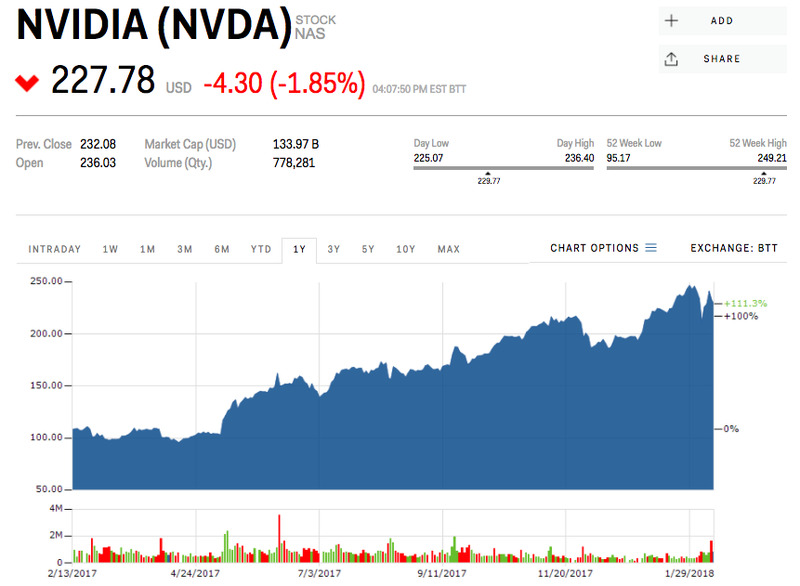 “We think that there is a growing risk that Nvidia could be impacted by a downdraft in cryptocurrency-related demand at some point in the future,” Wells Fargo analyst David Wong said this week. He has an extremely bearish price target of $US100 for Nvidia – less than half where shares were trading Tuesday. Nvidia has gained 13% since January 1. 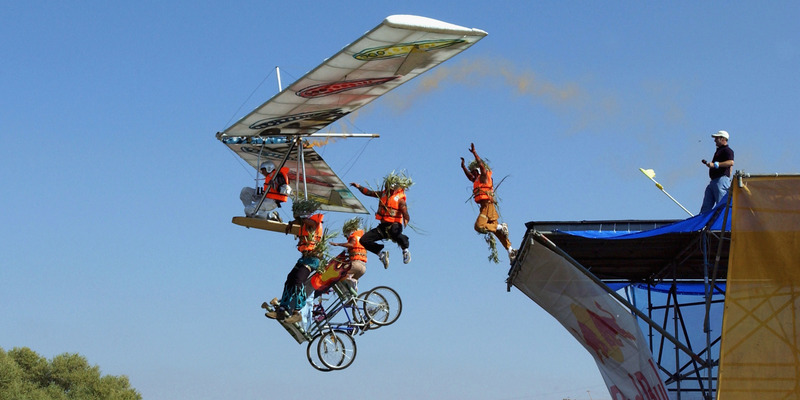 Analysts polled by Bloomberg say on average the stock could rise another 10% above current prices.